Hello to the kids walking by that I chatted with. 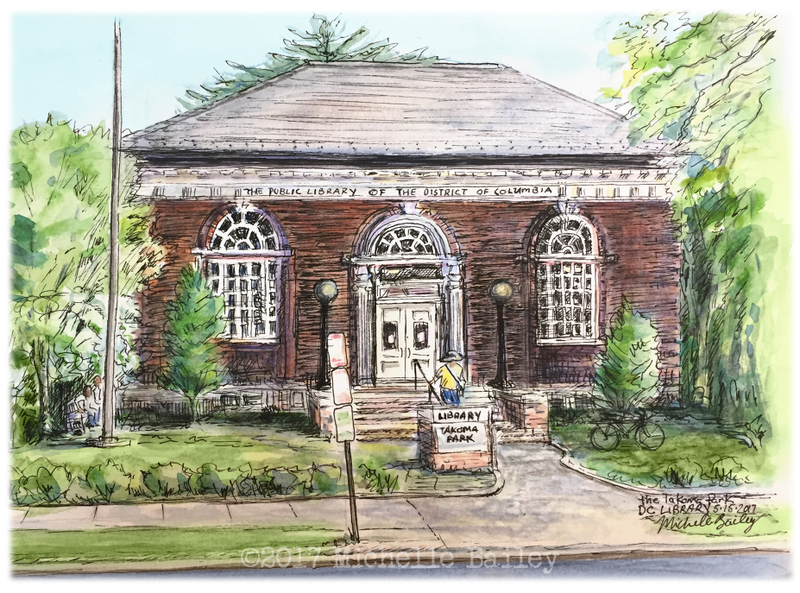 You asked me what I was doing sitting across from the Takoma Park DC Library way up on a steep hill. I had just started my sketch but I mentioned I would post the final image when I was done. You walked by again and showed me that you had found my website on your phone and asked if that was really a photo of me on the about page. Very impressive that you took the time to find out! I hope you enjoy this sketch.